Northern (Arctic) and Southern (Antarctic) krill species are not alike. Key differences are found in phospholipids, pigment and Omega3 content, as well as wax esters, special lipid class, fatty acids ratios and processing yields. Having Tharos run its patented process in both hemispheres, at-sea onboard factory trawlers, makes it the only company in the world to have run krill oil (and special krill meals) extraction processes from different krill species and fishing regions. The value added to consumers and operators generates a very attractive revenue stream. Jointly with Norwegian Innovation Technology Group (NITG) and Icelandic company EMI, recently concluded the first at-sea krill fishery operation in the Northern seas. 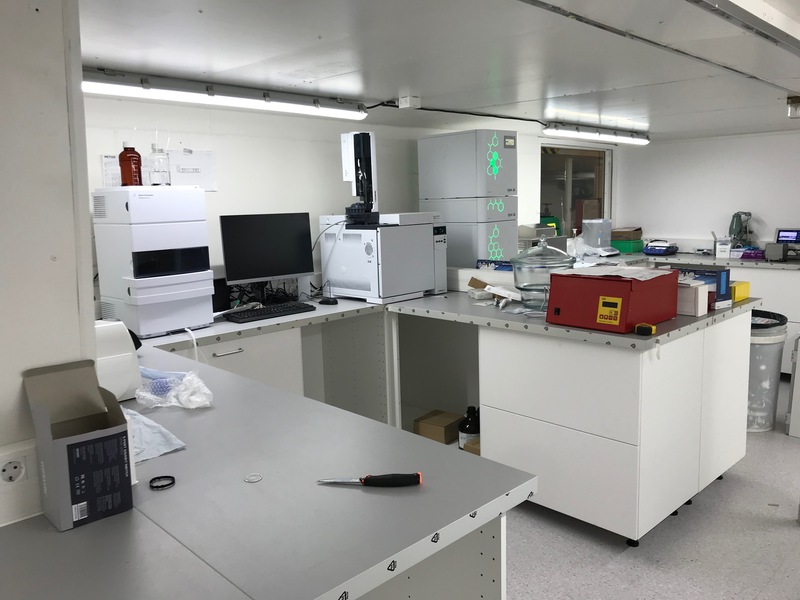 The lab installed onboard the factory trawler is at the highest level, at a standard not seen so far on any fishing operation, assuring clients that quality becomes final at-sea. Norwegian certifying company ORIVO (http://orivo.no) run comparisons of 13C NMR spectra of Arctic krill oil and oil from three other species confirming the difference between oil from Arctic krill and other species when analyzed by 13C NMR. This outcome impacts the entire value chain. USA FDA’s Center for Food Safety and Applied Nutrition recently published the results of an analysis of 22 commercial krill oil supplements available in the US market reporting that ten products (45%) contained significant amounts of fatty acid-ethyl esters. Natural levels of fatty acid-ethyl esters in krill oil are low (<3% by weight) and these ten products contained 41-75% of the oil weight as fatty acid ethyl esters, without declaring the addition of fatty acid ethyl esters on the label. Additionally, the report states that the fatty acid ethyl esters contributed 40-167% of the labeled content of EPA and DHA, and that the declared phospholipid levels (21±7% of serving weight) were lower than typically found in krill oil (39±6% of serving weight). This is not good news for the krill oil category in general, but reinforces that Tharos’ processed krill oil is not only 100% solvent-free, clean and pure, but it can be separated from faked krill oil. Krill oils extracted from either meal or frozen krill onland are not as fresh as if they were produced at sea, without solvents, directly from fresh raw krill. Solvents are that, solvents, organic or not.